Rodents infected with a common parasite lose their fear of cats, resulting in easy meals for the felines. Now Indiana University (IU) School of Medicine researchers have identified a new way the parasite may modify brain cells, possibly helping explain changes in the behavior of mice -- and humans. The parasite is Toxoplasma gondii, which has infected an estimated one in four Americans and even larger numbers worldwide. Not long after infecting a human, Toxoplasma parasites encounter the body's immune response and retreat to a latent state, enveloped in hardy cysts that the body cannot remove. Before entering that inactive state, however, the parasites appear to make significant changes in some of the brain's most common, and critical cells, the researchers said. The team, led by William Sullivan, Ph.D., Professor of Pharmacology and Toxicology and of Microbiology and Immunology, reported two sets of related findings about those cells, called astrocytes, on March 18, 2015, in the journal PLOS ONE. The article is titled “Proteome-Wide Lysine Acetylation in Cortical Astrocytes and Alterations That Occur during Infection with Brain Parasitr Toxoplasma gondii.” Astrocytes are found throughout the brain and are involved in a variety of important brain structures and activities. Dr. Sullivan and his team evaluated the proteins in astrocyte cells and found 529 sites on 324 proteins where compounds called acetyl groups are added to proteins, creating a map called an "acetylome," much as a map of all the genes in a particular species is known as its "genome." In addition, 277 sites on 186 of the proteins had not been reported in previous studies of other types of cells. On November 19, 2014, Sangamo BioSciences, Inc., announced its presentation of positive preclinical data from its joint program with Shire plc, to develop a novel ZFP (zinc-finger protein) Therapeutic® approach to Huntington's disease (HD), at the 2014 Annual Meeting of the Society for Neuroscience. Note that zinc fingers are proteins that normally bind at different bases in DNA in order to regulate gene activity. The dramatically exciting data were generated by Sangamo scientists and the CHDI Foundation, which is dedicated to accelerating therapeutic developments for HD. "These data are very exciting and represent a significant step forward in the quest for a therapeutic for Huntington's disease," said Nancy Wexler, Ph.D., Higgins Professor of Neuropsychology in the Departments of Neurology and Psychiatry of the College of Physicians and Surgeons at Columbia University, and the President of the Hereditary Disease Foundation. "They provide the first demonstration of a therapeutic approach that can not only prevent, but reverse the accumulation of mutant Huntingtin protein aggregates in the brains of animal models of the disease. Furthermore, the treatment does not affect the expression of the normal form of the protein, which is believed to be essential." The mutant form of the Huntingtin protein (Htt) accumulates in cells and forms protein aggregates which are associated with disease symptoms. Pioneering basic research in transgenic animal models has shown that the levels of the defective Htt protein correlate with disease progression, stimulating the search for strategies to reduce mutant Htt levels as a therapeutic intervention. However, most "Htt-lowering" methods decrease the levels of both disease-causing and normal forms of Htt. Biochemists at the Ruhr-Universität Bochum in Germany have gained new insights into the generation and maintenance of circadian rhythms. They have demonstrated that the Ras protein (image) is important for setting the phase of such a circadian clock, as its activity determines the period length of the rhythm. Ras is also contributing to induce phase-shifts in circadian rhythms in response to external time cues such as light. The team headed by Professor Dr. Rolf Heumann published its results online on March 12, 2015 in Molecular Neurobiology. The circadian clock “ticks” in every cell of the body; a central master clock, however, is located in the brain, more specifically in the suprachiasmatic nucleus (SCN) of the hypothalamus, which is old in evolutionary terms. Its activity determines the cycle’s period length, which is close to, but not exactly, 24 hours; it has to be continuously adjusted by external signals such as light, motor activity, or food intake to an exact 24-hour rhythm. Such regulation is the result of many proteins acting and interacting in various signal cascades. 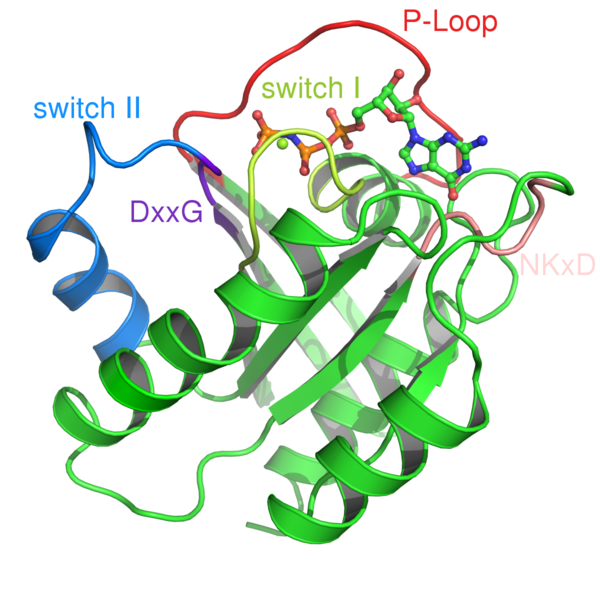 A central switch for such signal cascades is the Ras protein, which is present either in its active or in its inactive form. The group from Bochum demonstrated in mice that Ras activity in the SCN is high during the day and low during the night. Moreover, Ras activity was increased after brief exposure to light during the night. In collaboration with a Frankfurt-based team, headed by Professor Dr. Jörg Stehle, the researchers from Bochum also studied the phenomenon in genetically modified mice, whose Ras activity is increased exclusively in neurons of the brain. They found that the activity in the SCN oscillated with a significant shorter period than 24 hours – additional evidence for the relevance of Ras for the circadian rhythm. University of Texas (UT) Southwestern Medical Center neuroscientists have identified key cells within the brain that are critical for determining circadian rhythms, the 24-hour processes that control sleep and wake cycles, as well as other important body functions such as hormone production, metabolism, and blood pressure. Circadian rhythms are generated by the suprachiasmatic nucleus (SCN) located within the hypothalamus of the brain, but researchers had previously been unable to pinpoint which of the many thousands of neurons in the region were involved in controlling the body's timekeeping mechanisms. 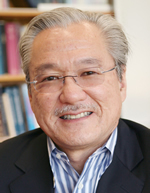 "We have found that a group of SCN neurons that express a neuropeptide called neuromedin S (NMS) is both necessary and sufficient for the control of circadian rhythms," said Dr. Joseph Takahashi (photo), Chairman of Neuroscience and Howard Hughes Medical Institute (HHMI) Investigator at UT Southwestern, who holds the Loyd B. Sands Distinguished Chair in Neuroscience. The findings, published in the March 4, 2015 issue of Neuron, may offer important targets for future treatments of diseases and problems related to circadian dysfunction, which range from jet lag and sleep disorders to neurological problems such as Alzheimer's disease, as well as metabolism issues and psychiatric disorders such as depression. Key studies in the 1970s revealed that the SCN communicates and coordinates cells throughout the body to control circadian rhythms, but the SCN contains many neurons with different expression patterns of neuropeptides and neurotransmitters. "Which of these neurons are responsible for producing circadian rhythms was a major unanswered question in neurobiology. This study marks a significant advancement in our understanding of the body clock" said senior author Dr. The velvet worm is a slow-moving, unassuming creature. With its soft body, probing antennae, and stubby legs, it looks like a slug on stilts as it creeps along damp logs in tropical climates. But it has a secret weapon. In the dark of night, when an unsuspecting cricket or termite crosses its path, the worm unleashes an instantaneous torrent of slime. Two fine jets of the gluey substance spray out of openings on its head, oscillating in all directions to cast a sticky net that entraps prey and stops it in its tracks. Captivated, so to speak, by the worm’s split-second attack, researchers from Harvard School of Engineering and Applied Sciences (SEAS) and from universities in Chile, Costa Rica, and Brazil have been studying the creature from all angles. How, they asked, does such a slow, neurologically simple worm execute such a rapid and perfectly aimed movement? By applying new insights from anatomy, mathematics, experimental physics, and fluid dynamics, they now have an answer—published online on March 17, 2015 in an open-access article in Nature Communications—and the findings could inspire new microfluidic devices. Imagine a large syringe equipped, at its narrow tip, with an elastic tube shaped like the neck of a bendy drinking straw. 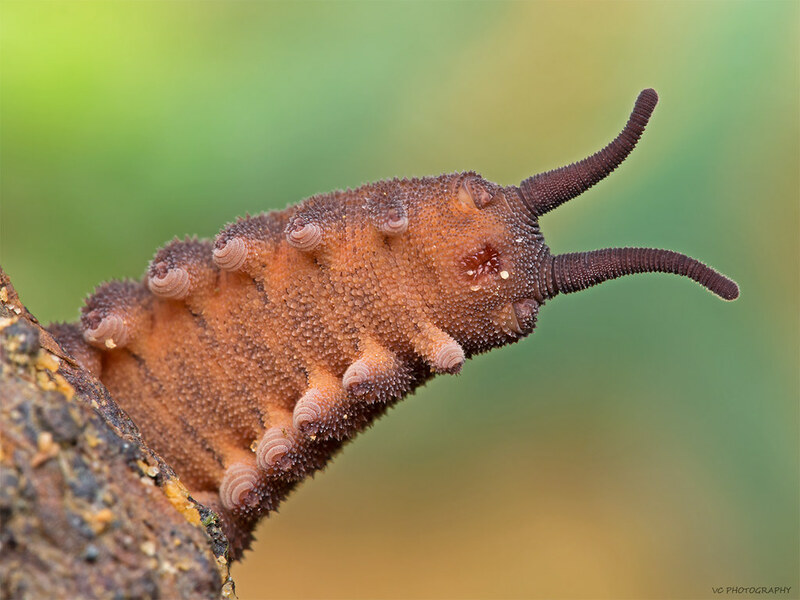 That is apparently the velvet worm’s slime-shooting apparatus, from its tail end—where the slime is produced and stored in a reservoir—to a pair of tiny nozzles called papillae on its head. Given this structure, a slow and gentle squeeze on the reservoir is all it takes to eject the slime with great speed and force. Most importantly, the shape and elasticity of the papillae ensure that as the slime exits, it sprays in all directions, like water gushing through a flailing garden hose. “The geometry of the system allows the worm to squirt fast and cover a wide area. In his latest “Zone in with Zon” blog post blog, dated March 16, 2015, and published by TriLink BioTechnologies of San Diego, Dr. Gerald Zon declares that Gilead’s new drug Solvaldi™ for treatment of hepatitis C virus (HCV) infections is “truly a drug developer’s dream come true.” And Dr. Zon should certainly know, having been intimately involved in drug discovery and development for many years. He notes that the Gilead’s nucleotide-analog prodrug is reported to produce an over 90% cure rate in HCV-infected patients over a 12-week (84-day) course of treatment that involves simply taking one pill per day. That, Dr. Zon says, is “amazing.” However, he immediately remarks that this powerful benefit comes at a considerable expense, with a single Solvaldi pill costing $1,000 and a full-treatment cost of $84,000 per patient. He adds that the estimated manufacturing cost of manufacturing per pill is $68-$138 and this huge disparity between the cost and the price being charged has been the subject of considerable controversy. Particular concerns have been raised as to how this pricing will influence the impact of this drug in developing countries where HCV infection is relatively high, and also in U.S. prison populations where HCV infection is rampant. Before addressing these and other ticklish issues, Dr. Zon provides some useful history on the development of this “miracle drug.” Apparently, it all began with work by two companies, Pharmasset, which was founded on the East Coast in 1998, and Gilead Sciences, Inc., which was founded on the West Coast in 1987. Pharmasset did significant early R&D work on development of an oral drug for HCV treatment and this work ultimately allowed the company to go public in 2007. Dr.
UCLA stem cell researchers have shown that a novel stem cell gene therapy method could one day provide a one-time, lasting treatment for the most common inherited blood disorder in the United States – sickle cell disease. Published online on March 2, 2015 in the journal Blood, the study outlines a method that corrects the mutated gene that causes sickle cell disease and shows, for the first time, that the gene correction method leads to the production of normal red blood cells. The study was directed by renowned stem cell researcher and UCLA Eli and Edythe Broad Center of Regenerative Medicine and Stem Cell Research member, Dr. Donald Kohn. The article is titled “Correction of the Sickle-Cell Disease Mutation in Human Hematopoietic Stem/Progenitor Cells.” People with sickle cell disease are born with a mutation in their beta-globin gene, which codes for part of the tetrameric protein that forms hemoglobin the protein responsible for delivering oxygen to the body through blood circulation. Typically, hemoglobin is made of two alpha chains and two beta chains. Sickle cell disease is an autosomal recessive disease, meaning that affected individuals have the sickle cell mutation in both of their beta-globin genes. The mutation causes blood stem cells – which are made in the bone marrow – to produce distorted and rigid red blood cells that resemble a crescent or “sickle” shape. The abnormally shaped red blood cells do not move smoothly through blood vessels, resulting in insufficient oxygen supply to vital organs. Anyone can be born with sickle cell disease, but it occurs more frequently in African Americans and Hispanic Americans. Scientists at the Jupiter, Florida campus of The Scripps Research Institute (TSRI) have successfully tested a potent synthetic compound that prevents type 1 diabetes in animal models of the disease. “The animals in our study never developed high blood sugar indicative of diabetes, and beta cell damage was significantly reduced compared to animals that hadn’t been treated with our compound,” said Laura Solt, Ph.D., a TSRI biologist who was the lead author of the study, published in the March 2015 issue of Endocrinology. The article is titled “ROR Inverse Agonist Suppresses Insulitis and Prevents Hyperglycemia in a Mouse Model of Type 1 Diabetes.” Type 1 diabetes is a consequence of the autoimmune destruction of insulin-producing beta cells in the pancreas. While standard treatment for the disease aims to replace lost insulin, the new study focuses instead on the possibility of preventing the initial devastation caused by the immune system—stopping the disease before it even gets started. In the study, the scientists tested an experimental compound known as SR1001 in non-obese diabetic animal models. The compound targets a pair of “nuclear receptors” (RORα and RORg) that play critical roles in the development of a specific population (Th17) of immune cells associated with the disease. “Because Th17 cells have been linked to a number of autoimmune diseases, including multiple sclerosis, we thought our compound might inhibit Th17 cells in type 1 diabetes and possibly interfere with disease progression,” said Dr. Solt. “We were right.” The researchers found that SR1001 eliminated the incidence of diabetes and minimized insulitis, which is the inflammation associated with, and destroyer of, insulin-producing cells, in the treated animals. Walter and Eliza Hall Institute scientists in Australia have developed a new drug-like molecule that can halt inflammation and has shown promise in preventing the progression of multiple sclerosis (MS). Dr. Ueli Nachbur, Associate Professor John Silke, Associate Professor Guillaume Lessene, Professor Andrew Lew, and colleagues developed the molecule to inhibit a key signal that triggers inflammation. Multiple sclerosis (MS) is an inflammatory disease that damages the central nervous system, including the brain, spinal cord, and optic nerves. There is no cure and there is a desperate need for new and better treatments. Inflammatory diseases such as MS are triggered by an over-active immune system, Dr. Nachbur said. "Inflammation results when our immune cells release hormones called cytokines, which is a normal response to disease," he said. "However, when too many cytokines are produced, inflammation can get out-of-control and damage our own body, all of which are hallmarks of immune or inflammatory diseases." To apply the brakes on this runaway immune response, institute researchers developed a small drug-like molecule called WEHI-345 that binds to and inhibits a key immune signaling protein called RIPK2 (receptor-interacting serine/threonine-protein kinase 2). This prevents the release of inflammatory cytokines. Professor Lew said they examined WEHI-345's potential to treat immune diseases in experimental models of MS. "We treated preclinical models with WEHI-345 after symptoms of MS first appeared, and found it could prevent further progression of the disease in 50 per cent of cases," he said. "These results are extremely important, as there are currently no good preventive treatments for MS." The article was published online on March 17, 2015 in Nature Communications. In a world first, a research team including James Cook University (JCU) scientists in Queensland, Australia, has discovered how geckos manage to stay clean, even in dusty deserts. The process, described in an article published online on March 11, 2015 in the journal Interface, may also turn out to have important human applications. JCU's Professor Lin Schwarzkopf said the research group found that tiny droplets of water on geckos, for instance from condensing dew, come into contact with hundreds of thousands of extremely small hair-like spines that cover the animals' bodies. "If you have seen how drops of water roll off a car after it is waxed, or off a couch that's had protective spray used on it, you've seen the process happening," she said. "The wax and spray make the surface very bumpy at micro and nano levels, and the water droplets remain as little balls, which roll easily and come off with gravity or even a slight wind." The geckos' hair-like spines trap pockets of air and work on the same principle, but have an even more dramatic effect. Through a scanning electron microscope, tiny water droplets can be seen rolling into each other and jumping like popcorn off the skin of the animal as they merge and release energy. Scientists were aware that hydrophobic surfaces repelled water, and that the rolling droplets helped clean the surfaces of leaves and insects, but this is the first time it has been documented in a vertebrate animal. Box-patterned geckos live in semi-arid habitats, with little rain, but may have dew forming on them when the temperature drops overnight. Professor Schwarzkopf said the process may help geckos keep clean, as the water can carry small particles of dust and dirt away from their body. "They tend to live in dry environments where they can't depend on it raining, and this process keeps them clean," she said.